This is a design I have been working on lately. It’s based loosely on my old “12am” WP theme. I was never happy with the design, but now I am glad that I held on to my original PSDs. 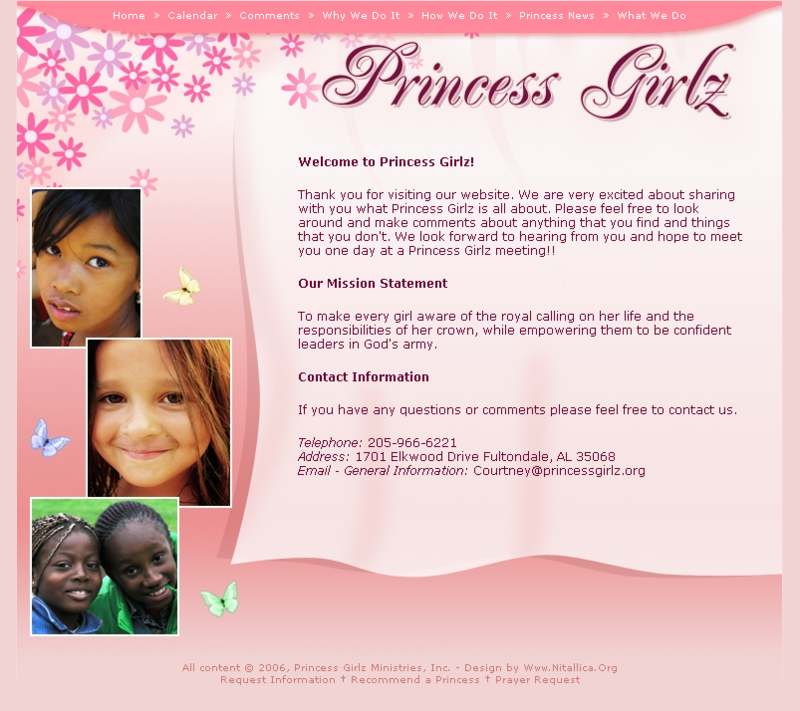 By chance, I met someone on the AL.com forums who was looking for help with her organization’s website: PrincessGirlz. Think “Girl Scouts for God” … it’s an organization that does a lot of self esteem and confidence building in young girls through positive messages and Christian examples. I’m re-doing their website for free. :) Wanna see?